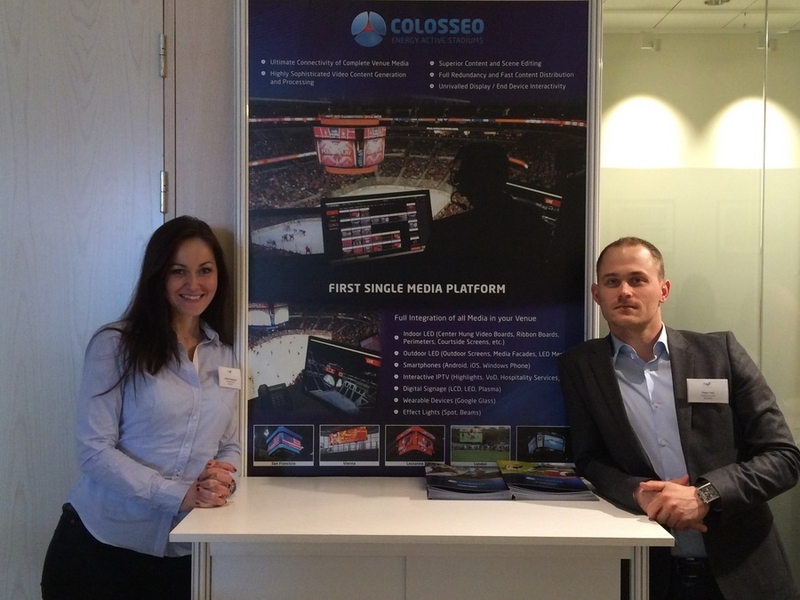 ColosseoEAS just wrapped up another successful conference, this time in Stockholm at the Nordic Venue Forum 2014. The conference featured the Nordic region’s key venue owners, operators and top thinkers from the live entertainment and sports industry sector. It combined a high-level conference, workshop and networking opportunities; bringing together venue leaders from across the region to explore essential business trends at sporting venues and live entertainment dynamics. Colosseo’s Sales Manager Tibor Foti led a discussion in the Innovations Showcase, a quick-fire presentation where he presented 20 slides each in under 20 seconds for a brief, but informative 7 minute presentation on our latest installation at the Verizon Arena in Washington D.C.
More than 25 venues, clubs and teams from across Scandinavia convened in Stockholm at the Scandic Victoria Tower for a packed-out conference which included several expert tours of some of Scandinavia’s most famous venues, including DR Koncerthuset, Finnish Olympic Stadium, Aalesund Football AS, Friends Arena, Tele2 Arena, Helsinborgs Stadium and many, many more. Colosseo will be presenting next at the Stadium Business Summit in London from June 3-5, 2014. The Stadium Business Summit is the largest dedicated meeting in the world of the owners, operators and developers of the world’s leading stadiums, arenas and major sport venues.